I was attracted to Feelmorelove Boutique due to their adorable biscuit necklaces. What a cute idea! Liz, who runs the shop, is so lovely and communicated with me every step of the way - keeping me well informed about my order. Everything was packaged beautifully, my necklaces came wrapped in cute tissue paper secured with matching stickers. Shipping was very quick too. I decided on a mini Jammy Dodger necklace and an Ombre Heart necklace - there was no way that I was choosing between them! How utterly gorgeous are these? I cannot wait to wear them, I'm definitely wearing the heart to work tomorrow. The necklaces themselves are of superb quality and are very well made. All edges are neat and they're just beautiful!! I find it so amazing that Liz makes her creations by hand with polymer clay, she really is skilled. 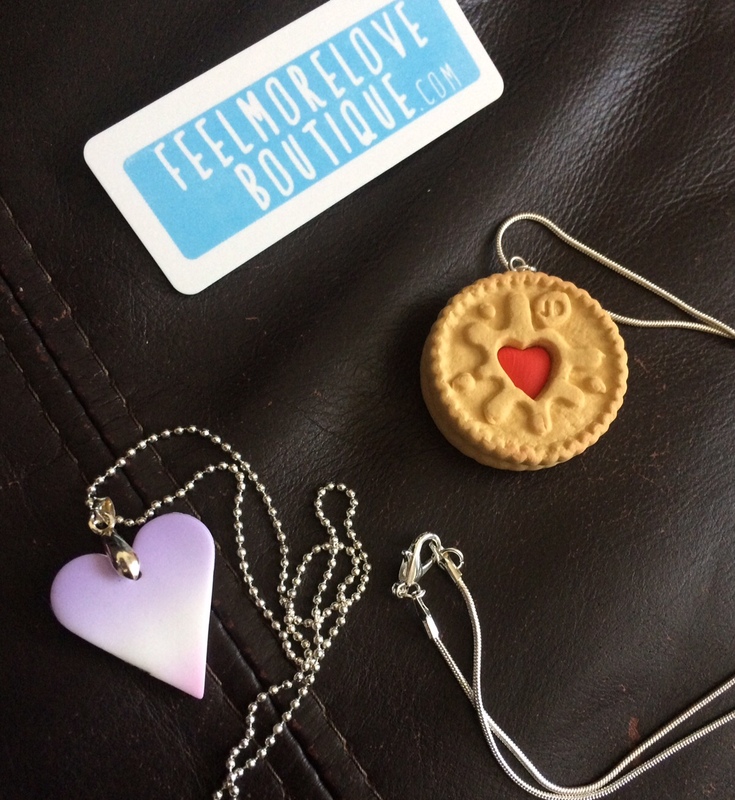 I would totally recommend Feelmorelove Boutique to everyone who likes their jewellery to be unique and cute! Feelmorelove Boutique can be found on Etsy or on their own standalone website.